The Signature Travel Network® Hotels and Resorts Collection includes more than 900 of the world’s best hotels, resorts, lodges and spas in 90 countries and 450 unique destinations. The collection has been designed to bring benefits for your clients as all participating hotels offer exclusive Signature privileges. 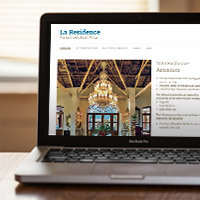 Published annually and features every hotel with an image and property description. The Directory can be customized by the agency and copies are distributed to our members and their best clients. Signature’s world-class hotel program is featured in an exclusive microsite featuring proprietary online content and available through members’ websites. The information includes images and detailed descriptions on each hotel as well as destination information. 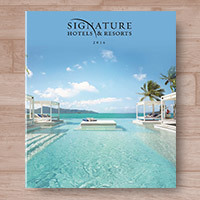 Annual direct mail brochure that provides clients with a comprehensive overview of the exclusive Signature privileges they receive when staying at one of over 900 properties in the Hotels and Resorts Collection. 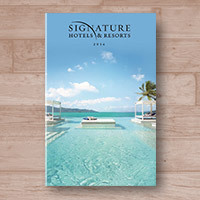 "Signature's Hotel & Resort Program gives us a great competitive edge at point of sale. 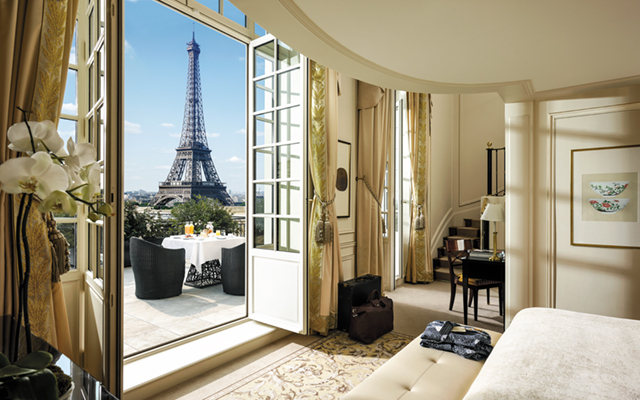 The complimentary privileges at over 900 hotels worldwide ensure that our travelers are welcomed like VIPs."